We often look for ways to improve our health. Healthy eating, proper sleep, and exercise all figure prominently in magazines, on television, and on social media. However, no amount of healthy practices can save you if the threat to your wellness comes from an external source, like radon gas. Radon kills thousands of people in the United States every year and may be in your home at unsafe levels. To keep you and your family safe, hire a professional to test for radon in your home. You can’t smell it, see it, or taste it, but there may be radon in your home. 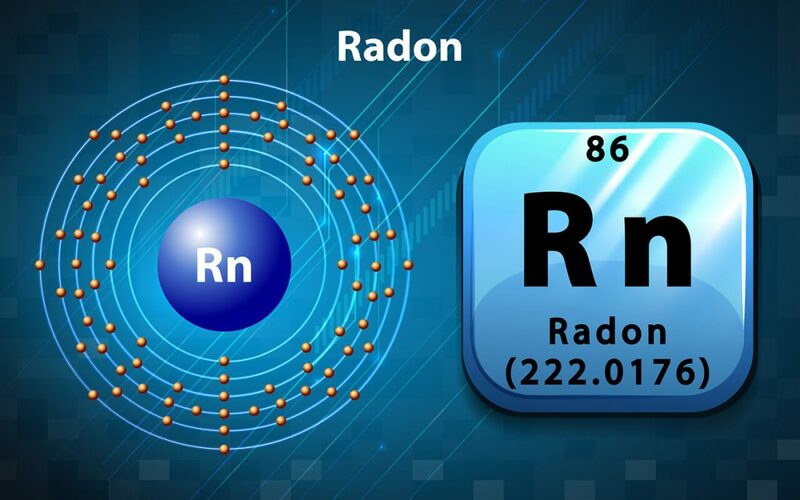 Radon gas is the product of the breakdown of radioactive metals in the ground and is present outdoors and in homes. Since it can’t build up outdoors, radon is only dangerous to those living with high levels of it in their homes. Once it reaches 4 picocuries per liter (4 pCi/L), the EPA recommends taking action to remove it. Depending on the level of the radon in your home, you could be facing a serious threat. Because of its radioactive origins, radon is dangerous to breathe in. Once it enters the lungs, it damages your DNA. Because of this, it raises the chances of you developing lung cancer, especially if you smoke. Around 21,000 people, even non-smokers, die yearly in the United States as a result of radon-related lung cancer, making radon gas the main source of lung cancer in non-smokers. The radon in the ground can be released into your home in many ways. If you are on well water or have cracks in your walls or foundation, you may be letting it in. It can also come through construction joints, air vents, fireplaces, or even the pores in the concrete. It doesn’t matter where you are or the age of your home; having radon in your home is a potential hazard for everyone throughout the United States. Testing for radon in your home is a serious task that you should not perform yourself. While you can buy kits to measure radon levels, they are often inaccurate. It is important to call in a professional so that your home can be tested thoroughly and completely. The good news is that even if the levels of radon in your home are high, you can bring them down. It is a simple process, but it takes a specialist. The best way to reduce the radon levels is to have installed what is known as a soil suction radon reduction system under your house. This system will prevent the radon in the ground from entering your house by directing it to the outdoors. Repairing cracks in the foundation and walls will also help prevent more radon from entering. Radon is nothing to take lightly. Due to its lethal properties, you need to take steps immediately to find out if you are at risk with high levels of radon in your home. Fortunately, you can reduce the danger and get your radon levels under control with a proper radon mitigation system. MN Pro Home Inspections serves the Twin Cities and Western Wisconsin with radon testing and other home inspection services. Contact us to schedule your appointment.